Against the moss wall, the trees cast shadows, and the orange lollipop mirror guides drivers. I love this mix of nature and human effort. 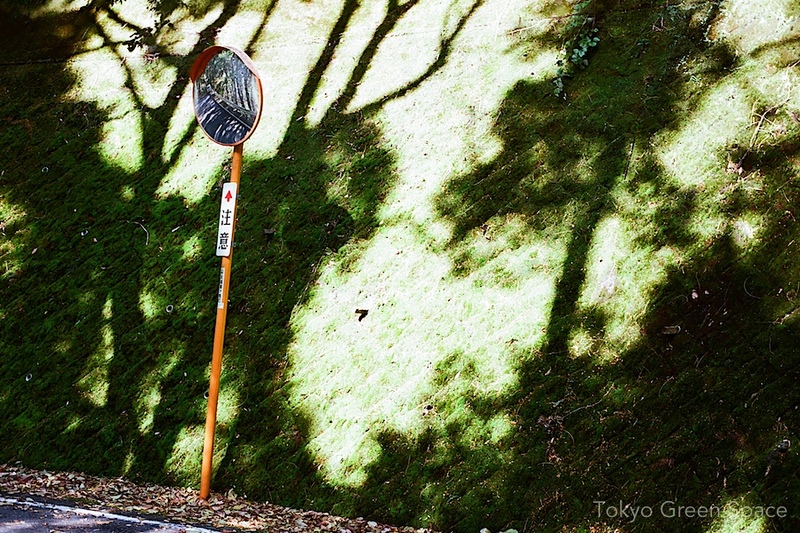 Against the moss wall, the trees cast shadows, and the orange lollipop mirror guides drivers. 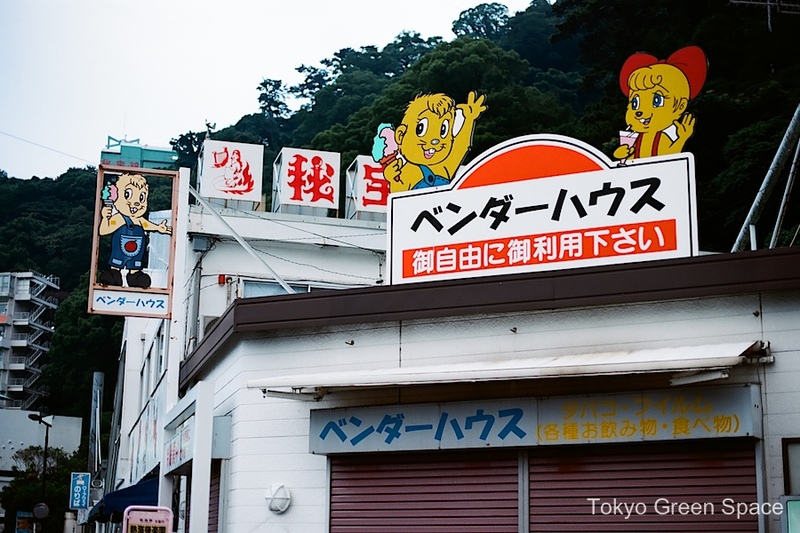 In Izu. I assume Double Face has no specific meaning in Japanese. It’s hard to imagine the phrase being used in marketing when confidence and reputation are at stake. Near my house is another new construction, Double Face in katakana or just Face Face in English. The concept is city and nature. But from what I see the building itself will contribute almost zero natural benefits to the sidewalk or community. Not even a single tree outside the mid-rise building. Again, I can sort of understand the concept, but the execution as a billboard and as a property leave much to be desired. At this point in construction, what they’re offering the public is a vending machine, one of many drink machines along this boulevard. These woodchucks with their ice cream cones and hair ribbons are irresistible. 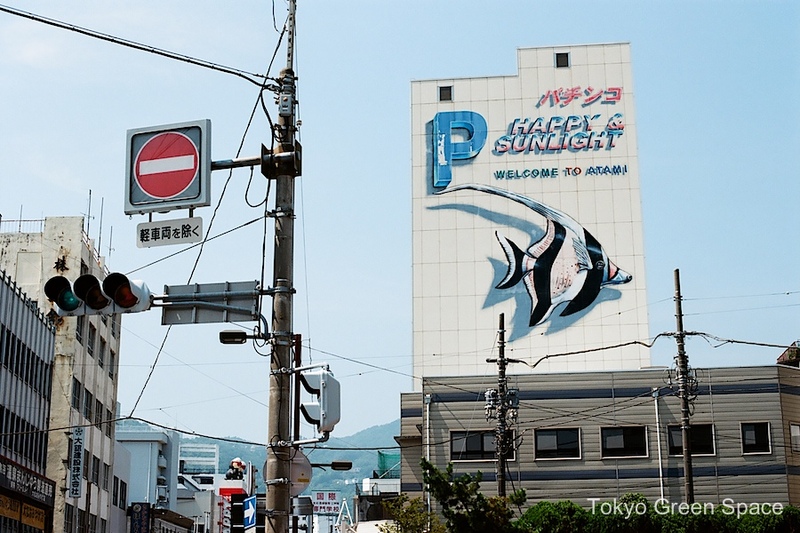 I also like the heavily shadowed angel fish which decorates a car parking tower also sponsored by “Happy & Sunlight” pachinko. With the ease of public transportation from Tokyo, I imagine Atami is ripe for reinvention for the post-automobile young people. Recently, there have been several reports that Mount Fuji may erupt and cause an earthquake, or vice versa. What I love about this giant volcano is its utterly domestic and urban nature. Today’s urban views, completely with laundry drying, are an extension of hundreds of years of Edo visual representation. On a recent trip to New York City, I took my film camera to some iconic parks. Above is the reservoir in Central Park, a place for exercise, leisure, and path between Upper East Side and Upper West Side. Below is the High Line, a more recent park created from a dis-used elevated train line west of Chelsea. I love how in both environments, you can enjoy nature and feel connected to an urban landscape. Thanks to @skidgel, I saw that the current edition of The Rough Guide to Tokyo travel book features Tokyo Green Space on the second page of “what to do” under the heading of “towards a greener Tokyo.” It’s great to see that visitors are interested in experiencing nature in Tokyo. The open call for “professionals and amateurs” will create material that will be juxtaposed to their study of a Venetian fort. Please read more about this project and the call for participation. The deadline is April 15. アメリカの大学院に応募する方がこのブログの読者に質問したいそうです：日本の自然とランドスケープ文化の意味について、何かおすすめの学術本がありますか？　私も読者のアイデアを聞きたいです。Image credit: Luis Mendo. From TEDxSeeds プレゼンテーション. 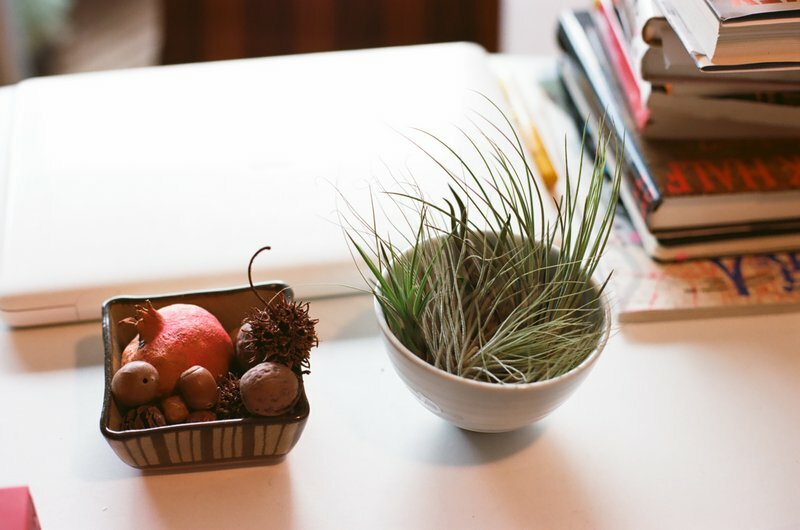 Which books define a Japanese cultural outlook on nature and landscapes? A perspective PhD student wrote to me asking about scholarly works that would allow a comparison with England. Is there a Japanese counterpart to Raymond Williams and William Hoskins, author of The Making of the English Landscape? 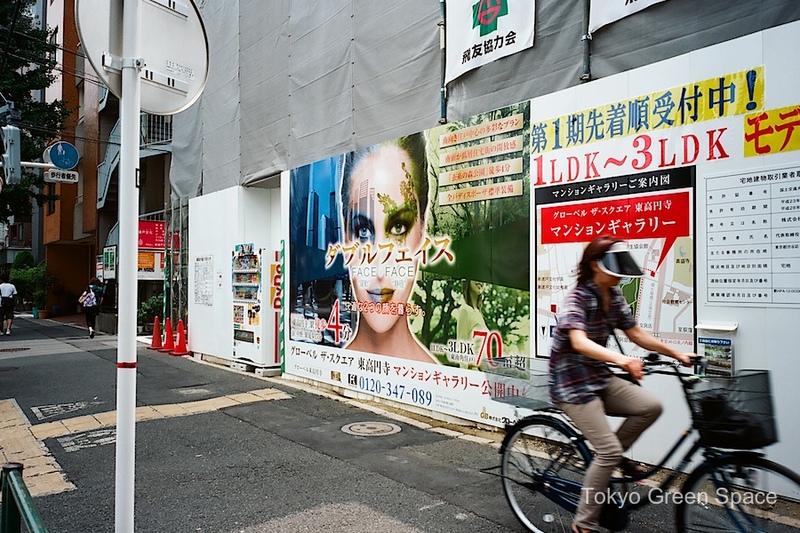 I am equally curious to hear what Tokyo Green Space readers know about this topic. So please help this perspective graduate student and share your favorite in the blog comments. Thank you! 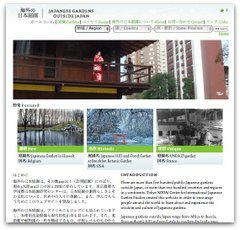 My name is Jennifer Jane Riddle, and Mr. Braiterman has kindly allowed me to introduce myself and use his blog space in order to ask readers about any texts or articles by Japanese authors that address spaces and landscapes in Japan. I am currently applying to various PhD programs in the United States, and my goal is to examine how cultural attitudes towards natural spaces are cultivated and understood and how cultural values affect the way in which countryside spaces are used. Comparatively, I am looking at the countryside of England and English authors, such as Raymond Williams, who wrote about British culture in relation to nature and the English countryside. I am also using more anthropological centered works, as well, such as the landscape histories of William Hoskins. As for works on Japan, I have read Jinnai Hidenobu’s work on Tokyo, and I am looking for similar writers, anthropologists, or theorists who write about Japanese relationships to countryside spaces, nature, and the environment. If anyone who enjoys this blog is aware of any Japanese scholars, past or present, who focus on culture, space and place in such a way, I would love to know more. Image credit: Luis Mendo. From TEDxSeeds presentation. The idealization of nature in Shinjuku Gyoen. Walking in the back streets in Jingumae, I came across this fantastic abandoned housing project. Soon the lot will no doubt be scraped and redeveloped into luxury residences with minimal landscaping. Until then, it’s an island of nature, full of persimmons, fall foliage, and wildlife.